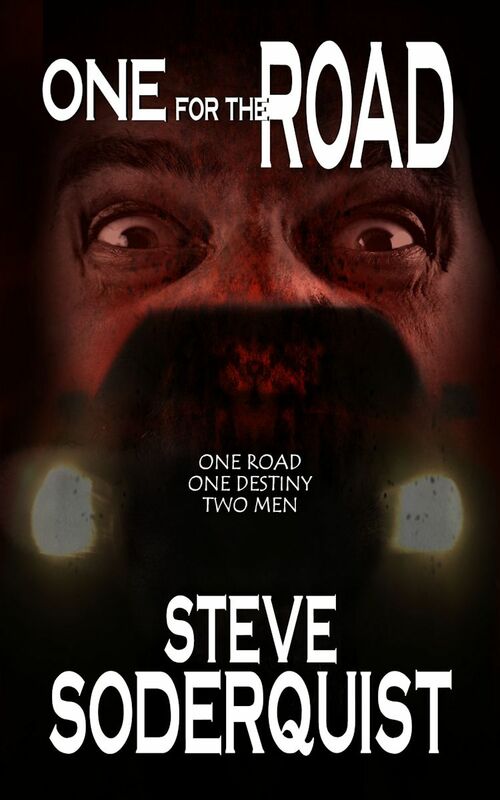 Steve Soderquist ‘One For The Road’ Review. Steve Soderquist’s bio says he was a successful musician for years before returning to his first love — writing horror and thriller fiction. That career may be over but Soderquist’s musicality remains evident in his horror novella, One For The Road. The tempo and rhythm of the author’s words crescendo as the lives of lawyer Kevin Delarunas and business owner Mark Christiana intersect. The two main characters are seriously flawed men who become strangely connected on the same highway as they hurtle toward each other at 100 mph. This is a nightmare road trip and definitely no buddy movie. The story unfolds in a compelling, original way with grit, horror, uncomfortable humor, WTF moments, and a disturbing, open-ended finish that is somehow satisfying. The beginning and end read well. The review copy I received cautions that it needs proofing and that errors may still exist. In my view, One For The Road needs more than proofing and error correcting. It needs a solid draft review by the author and the help of a professional editor. Parts in the middle, where the pace quickens, reads like a raw first draft typed at 2 a.m. The momentum of the storyline too often overwhelms solid writing and attention to detail. I found myself falling out of avid-reader mode and into the addicted-editor zone when my eyes stumbled over words spewed haphazardly from the author’s stream-of-consciousness. A second criticism is directed at a couple minor revelations at the story’s end. The heart of any mystery is the ah-yes I missed the clue or the yes, that’s what I thought. Soderquist offers no clues, no lead up to explain how a couple of things happen such as the involvement of the radio station and the wives. We need these points explained or foreshadowed in at least in a token way for the reveal to work. Otherwise, they should be edited from the story. To work as well as it deserves, One For The Road needs Soderquist to pay greater attention to detail, bridge the gaps (dee-jay, chorus, wives), and winnow unhelpful repetition and weak words. Today, One For The Road rates 3.5 stars out of five. With fixes in place, the novella could be a five star read. Next Post Universal consciousness or just plain lucky?